GSTR filing is themost important thing for every taxpayer who has enrolled under GST. GSTR 4 is a form ora document which needs to be filed by every registered taxpayer who has signedup for composition scheme. GSTR 4 return filing due date is before 18th ofevery month. 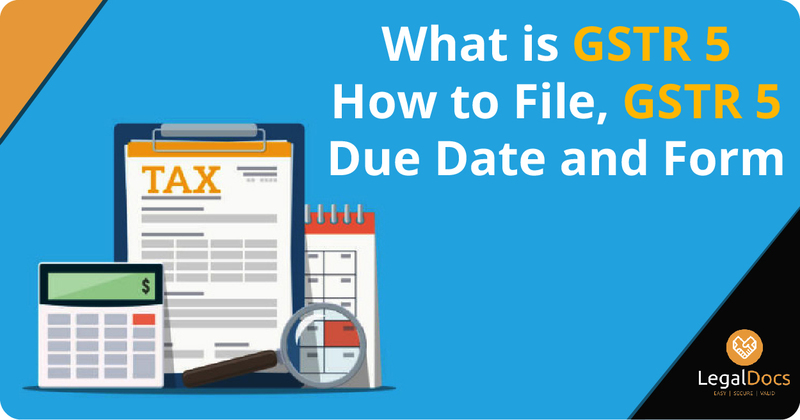 Later the taxpayer is allowed to file the details with a penalty and late feesdescribed under Late Fees and Penalty.There is a read-only section which is known as GSTR 4A where the informationwill be auto-populated by the earlier completed filing. The GSTR 4 returnfiling should be done by a registered person paying tax under section 10 whichmeans the person paying composition levy. There are in all 11 types of GST return. How To File GSTR 4? 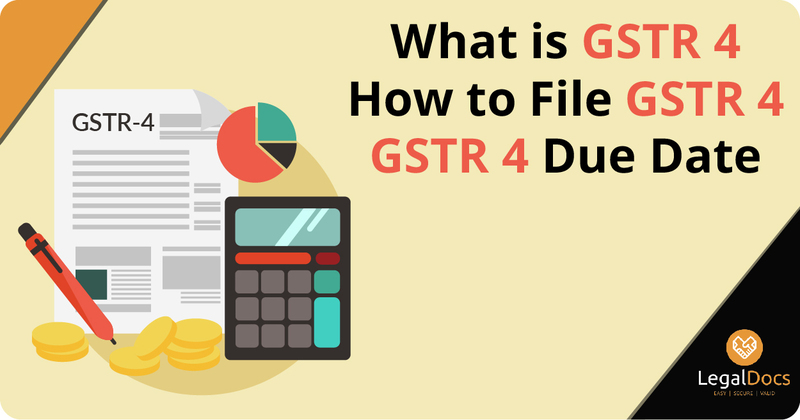 You have understood what is byGSTR 4, you might be curious about how to file GTSR 4. For GSTR 4 filing ataxpayer should enroll under GST and, should have an active GSTIN for theperiod. The GSTR 4 filing can be done on GST portal with appropriate logincredentials. Let us know theprocedure for how to file GSTR 4.
â— Inâ€œReturnsâ€ section mention the financial year and return filing period. â— File the detailedinformation of NIL returns, Inward supplies, received any credit debit note,outward supply, Intend to claim a refund. Make the amendment as per required. â— Make sureyou check the terms before submitting them as they cannot be changed oncesubmitted. â— As soon asyou make the changes, you can preview the form once and proceed. â— Make thepayment and generate challan and file GSTR 4. GSTR 4 is requiredfor the taxpayer who has registered themselves under Composition Scheme. 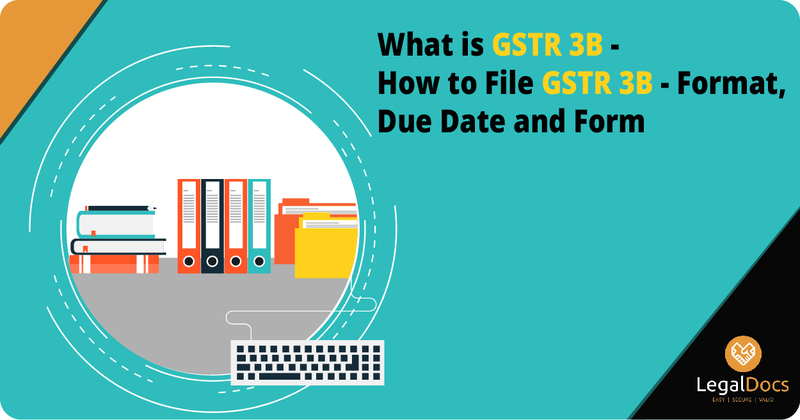 It isfiled quarterly and the GSTR 4 due date is 18th of every month. Who should file GSTR 4? GSTR 4 has to befiled by the taxpayers who have registered themselves under Composition Scheme.The composition scheme helps the taxpayer to file single quarterly returnrather than filing monthly returns. The taxpayer isalso allowed to pay a lower tax amount by offering a competitive advantage.There are several other benefits by filing a Composition Scheme. There is someexemption who are not required to file GSTR 4, such as, Non - resident taxableperson, Input service distributor, Taxpayers who collect or deduct TDS, Inputservice distributors, etc. â— The minimumGSTR 4 penalty is rupees 200 per day in case it is not filed. As per the latestamendment made, the penalty charges are reduced to rupees 50 per day. â— Maximumpenalty charges are rupees 5000.
â— There isalso a condition which indicates that, if a taxpayer fails to GSTR 4 quarterlythen he is restricted to complete the filing for next quarter period as well. â— For NILreturns the per day GSTR 4 penalty charges are rupees 20.
â— In case theGSTR 4 is not filed within the due date then 18% interest is charged per annum,which is calculated as per the outstanding tax. The GSTR 4 formatcontains the following information which is needed to be filled by thetaxpayers such as GSTIN, Name of the taxable person, Turnover of the business,Inward supplies details, Tax on outward supplies, Outward supplies, Late fees,Refund claimed, Tax payable, etc. It is also possibleto get the GSTR 4 excel format which will help to enter the data in bulk. GSTR4 form download can be done by clicking below. Are you looking for GST Return Filing Service in India? Legaldocs can help you in filing GST return in India, Please click on the following link to connect with our consultants.